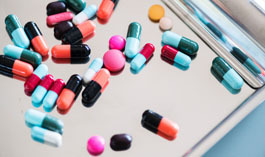 In response to a number of queries and requests for advice and support, the Hub has organised a workshop on 11 June on the implementation of EU Falsified Medicines Directive (FMD). Workshop to consider challenges and opportunities, review of medicines workflow. The event will run from 10am to 2pm on 11 June at the Hub office in Fulbourn, Cambridge, with lunch being provided. A more detailed agenda will be issued to attendees nearer the time. To secure your spot at this workshop or more information, please email stephanie.rose@eoecph.nhs.uk.